Atlanta, GA, February 8, 2019: We are all familiar with ladies day out, group lunches, and girls’ movie night. But how many of us are aware of women actively participating in and contributing to organizational amelioration? 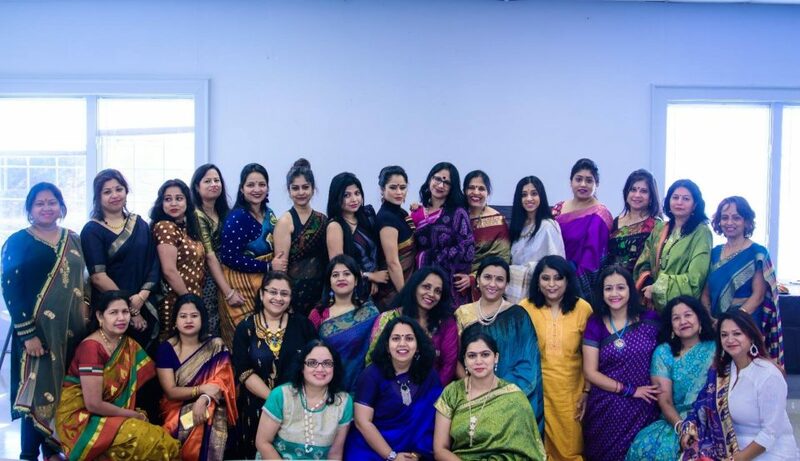 For the year 2019, the Bengali organization Purbasha has adopted a unique approach – an all-women’s working committee. This endeavor includes women in all levels of decision making starting with the president to managing finances, secretarial work, website maintenance, logistics, volunteer activities, and public relations. This youngest and fastest growing Bengali organization in Atlanta is encouraging women engagement. Empowering women to participate fully across all facets of the organization is essential to building stronger relations, nourishing thoughtful ideas and achieving agreed on goals for development and improvement of the organization. We believe instead of expecting the trend to change overnight one should take small steps towards improvement and try to contribute even if in a minor way. In the words of MK Gandhi “You must be the change you want to see in the world”. Purbasha is the perfect forum to demonstrate that participation is fun and rewarding. These amazing women are already contributing to the economy in the fields of information technology, K12, higher education, hospitality, business, and homemaking to name a few. We believe that they can bring a completely unique and fresh perspective to an organization. Purbasha’s theme and spirit of providing empowerment for women involve more support and participation for women in the organization and inspiring the next generation of women leaders in their communities to step in and take part in inventing the future. In the words of former first lady Michelle Obama “There is no limit to what we, as women, can accomplish”.